There’s a lot of talk in positive parenting circles–and in general–about the importance of listening to our children, particularly about their thoughts and emotions…and to other people’s children, for that matter. Oh, no doubt about that. The funny thing is that we talk about it like it’s a choice, like it is possible to choose not to listen to them. It’s not. Children want to be heard, are determined to be heard. We can agree to listen, we can value listening, we can pooh-pooh it, we can say it’s too “touchy-feely.” It really doesn’t matter. We’re going to listen, one way or another. Our only choice as parents and as teachers is to decide in what form and at what time we are going to listen, at what point we are going to acknowledge their thoughts and feelings. Are we going to listen when they cry? When they speak? When they yell? When they hit? When they refuse to do what we want them to do? When their words become interspersed with obscenities? When they run away? When they pour themselves into a sport or an instrument? When they lash out? When they whisper? When they lock themselves away in their rooms? When they become adults and don’t want to make us a significant part of their lives? I’ll say it again: Our only choice as parents and teachers is to decide in what form and at what time we are going to listen. Music is another way to speak. And another way to listen. When you opened this post, or you saw the link, with that age-old quote about music soothing the savage breast (no, it’s not beast), maybe you thought of sweet lullabies, soothing music that plays when it’s time to sleep, music that can help stressed children to relax. Yeah, those are all good things. Maybe later. This time, I want to talk about listening. And, as ever, I want to talk about respect. Here’s the thing. When I write about my career in child development and the origins of my deep passion for respect and dignity for every child, I always speak of the earliest days of my undergraduate education, the ways in which my mentors modeled and taught those values. Once in a great while, I talk about my fondness and affinity for working with children when I was in high school. I never talk about when it really started. I think it’s time. So I’m going to tell you a story. I love stories. Without doing the whole blog-as-therapy thing (please, this isn’t the place for that), let me just say that “not feeling listened to or respected” was the overwhelmingly defining feature of my childhood (please know that I do not “blame” anyone for this, at least not anymore…parents do the best they can.) I could tell you stories, oh, I could tell you stories. But we only have time for one today, and we’re talking about music (remember? ), so I’m going to stick to that one. I was a bit of a sensitive and dramatic kid (okay, maybe more than a bit.) And a good kid for the most part. I watched others, I took mental notes about what not to do. I never wanted to be in trouble. And i was angry. In those early years, I had an album (yes, it was a record…an LP….a large round plastic disc that you put on a record player at 33 1/3 rpm) called “Through Children’s Eyes” by the Limelighters. Yes, I know I’m dating myself. That’s okay. There were a lot of wonderful songs, from This Land is Your Land to the greatest tongue-twisting spelling song ever, “B-A-Bay.” I remember my mother’s favorite one (because we often listened to music together) was a song called “Move over and Make Room for Marty”, which was about a child who was late to arrive, and how it was important to always save a place for him…the punchline is that when the child finally arrived, his name was Steven. My mom always laughed at that one. It was a great album, all around, and I listened to it hundreds of times. And then there was another song on that album. What happened to the tiger, tiny little tiger, who never learned to roar? He’s just a mat, stretched out flat, on somebody’s bedroom floor. can’t see the world through children’s eyes. What happened to the bunny, fluffy little bunny, who never learned to hop? Because the bunny couldn’t hop, he hangs in a butcher shop. What happened to the beagle, happy little beagle, who never learned to bay? Some burglars came, and to his shame, he turned tail and ran away. You might as well just be a statue. That’s how children lose their spark. You see the world through children’s eyes. I sang this song day in, day out. For hours on end. It was my anthem. Kinda creepy, I know. Ask me to sing it now, half a century later–I’m in. And once–just once, or maybe it was twice–probably at about the age of 6 or 7, I marched my dramatic little self into the living room where my parents were reading the newspaper, and sang it at the top of my lungs. I felt (remember, feelings are not facts) that I was taking my life in my hands (no, there was no literal or physical risk) by stepping into the room and singing this song–I remember the feeling, the tightness in my gut, the huge risk I felt I was taking, to this day. I finished. They laughed and applauded. As if it were a performance. THAT moment–the moment of the applause–is the moment at which I committed myself fully to working with young children and spending my entire lifetime, no matter what it took, trying to ensure that children were heard and respected, to create and contribute to spaces in which children would not “lose their spark.” In that moment–yes, at 6 or 7–I committed my life and my career to someday being the adult they describe at the end of the song. 50 years later, I’m still here. A song is a powerful thing. Throughout our lives, we are–all of us– drawn to songs that speak (not only in lyrics, but in melodies or style) to our struggles, both spoken and unspoken–but especially that which cannot otherwise be said. Music is empowerment. The rest of the lyrics to the song are just as apt. And I can hear it. “So cute. A Taylor Swift performance! Capture it on video and post it to YouTube!” A performance? Maybe. Maybe not. Respect. Remember respect. Yes. It is just a song. Maybe. Some of them are just songs. Maybe not. Now, don’t get me wrong. I may be passionate, but I’m not crazy. I’m not suggesting that you sit down and dissect the music your children are listening to. I’m not suggesting censoring or restricting the music they listen to in any way–in fact, quite the opposite (especially if we are to see it as an avenue for emotional expression, identification, or catharsis). I’m not suggesting that you not applaud or smile when your children enter the room with another grand performance of “Let it Go”. And I’m definitely not suggesting that you overanalyze the songs that your children love, or try to have conversations with them about what the songs mean, how they make them feel, etc–more often than not, that doesn’t go well. What I am suggesting–as ever, because, after all, it is my raison d’etre–is that you NOTICE. What I am suggesting is that you keep a little corner of your mind reserved for wondering, for noticing if there are patterns or particular emotions that are consistently present in the songs that your children love. What I am suggesting is that you honor the power of music and songs as a form of communication, whether that communication is intended our way or is a bonding between peers. What I am suggesting is that we all try, to the best of our abilities, to be open to the possibility (not the certainty) that our children are “speaking”, and that there are things that we can learn about them and their emotions by paying attention and not dismissing or ridiculing the songs that they love. Yes, sometimes a song from Frozen is just a song from Frozen. Because it’s what the kids are doing and because some damn songs just make their way in and become earworms and because they like it. And sometimes, they really are thinking about what they are singing–even at three or four. I think of a conversation with a friend’s four-year old son, who, with a determination and persistence unrivaled by an American Ninja finalist, demanded to understand what “Don’t let them in, don’t let them see” meant. That’s some deep stuff. I’m asking you to notice. Lastly, I invite you to respect and harness the power of music as a medium of expression. 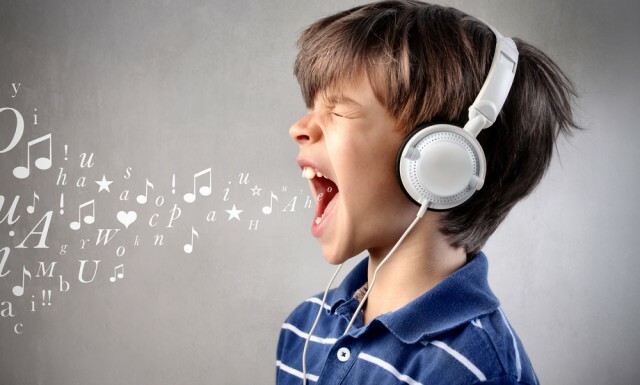 Yes, music is great as a relaxation tool (see, I told you I’d get back to that later) or a way to pass the time and “keep them happy” in the car (I mean, if you’re going to have music on in the car, why not choose music that you want your children to sing all day? Why not choose music that is not going to make you want to tear your hair out if your children sing it all day?) But more importantly, music is an admittedly somewhat covert tool for conveying values to our children. Just as with affirmations, that which we repeat becomes true–it’s never more apparent than in the almost mindless repetition of lyrics. Are the songs that your children sing, day and night, reflective of that which you want them to embody? Do you want to teach your young children about equality? Justice? Positive body image? Spirituality? Making friends? Loss? Children grow up with the values that surround them, like the air they breathe. Music is a conveyor. Whatever your values, as they say (well, kinda): There’s a song for that. On that note, I leave you with a personal example. In my family, we place a high value on critical independent thinking and questioning. One of the most popular (and intentional) songs in our playlist for the car when our daughter was three and four was “You’re Not the Boss of my Brain” (yes, we actually CHOSE to give our daughter those words) by Tom Chapin. Here. A gift. 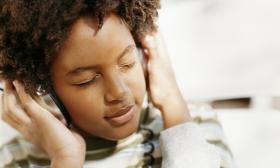 What are the songs that your children sing or listen to? What songs were YOUR anthems or protests or earworms as a child? What is the music that you play with intention? What are the messages in the songs your children are singing or listening to that speak to you of their struggles or their pain or something they are seeking to master? What music do YOU listen to when they are around? If that music “takes hold” and makes its way in, will it embody what you wish for your children, not only now, but in the long run? When you stop and listen, what do you learn? This entry was posted in emotions, expression, listening, music and tagged children's music, emotional expression, hey jimmie joe john jim jack, limelighters, listening, music, music kids listen to, respect, respectful parenting, values through music, You're not the boss of my brain. Bookmark the permalink.